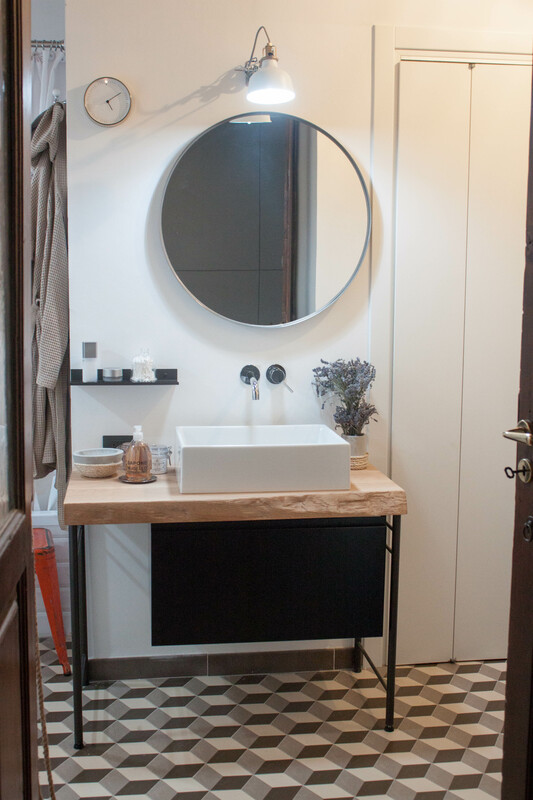 Think Projects is an architecture and interior design association from Turin. We design apartments by focussing on the dialogue between the colours and shapes of materials in the space. 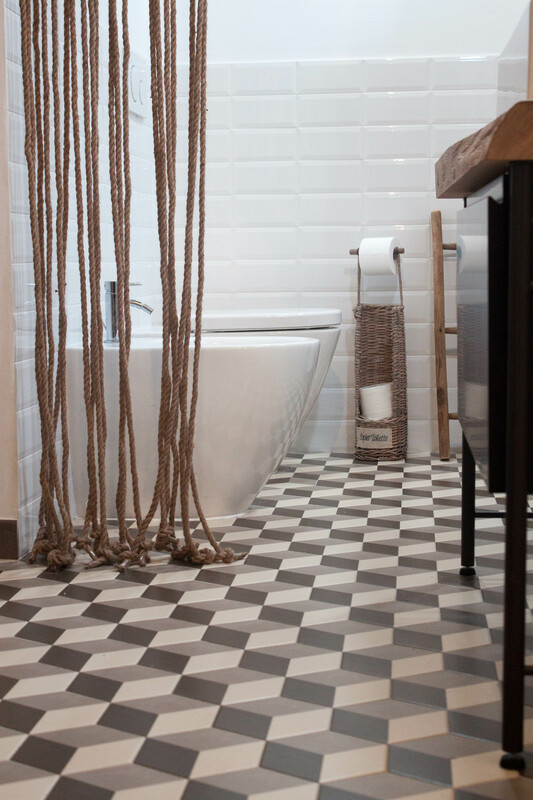 We wanted a space that echoed tradition but was also playful and whimsical. 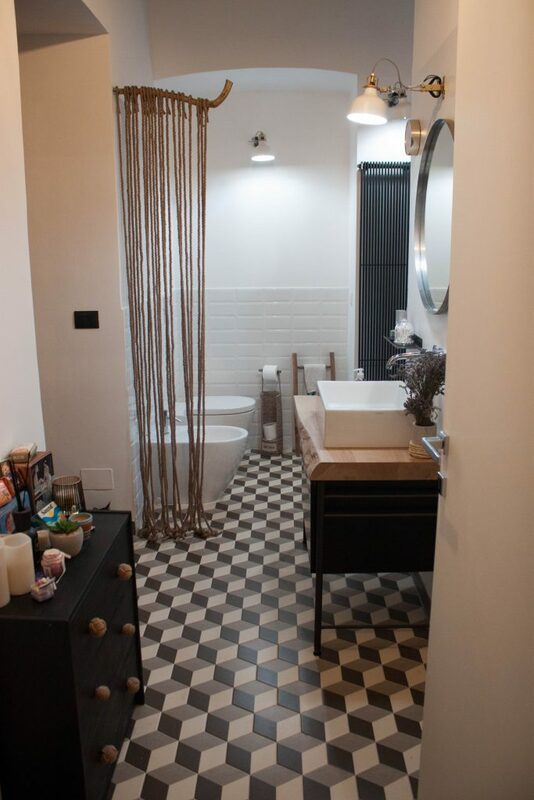 The bathroom is part of an 19th century apartment, the tobacco colour of the tiles interacts with the original parquet floor and the colour of the vaulted ceiling. 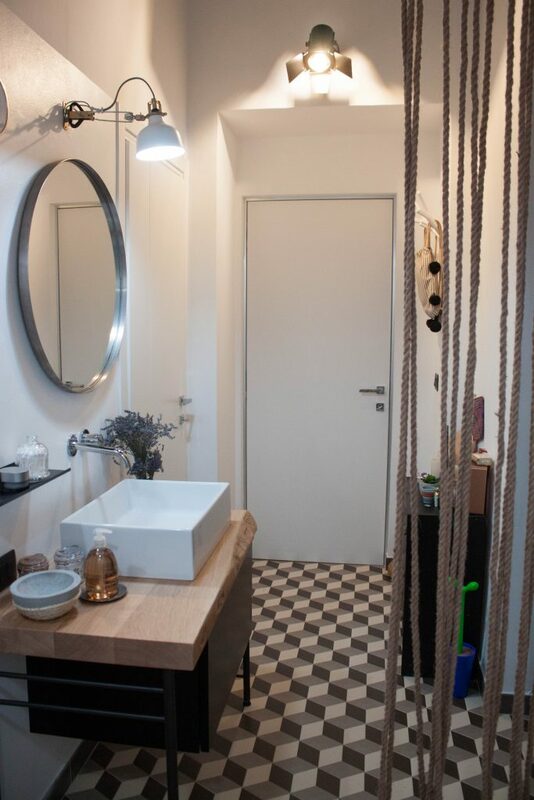 We made the floor stand out by using a contrasting effect with the white wall covering. 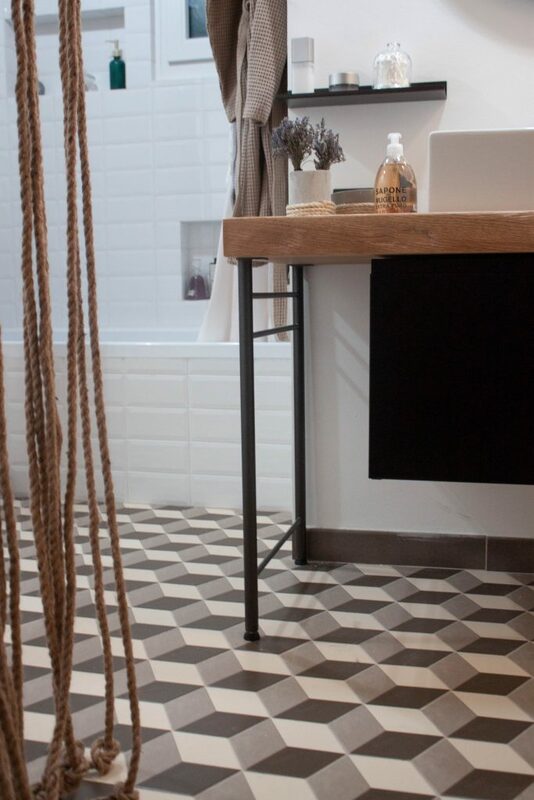 We thought it was the right product because it recalls the historic cement tiles in the atriums and under the porticoes of traditional buildings in Turin. 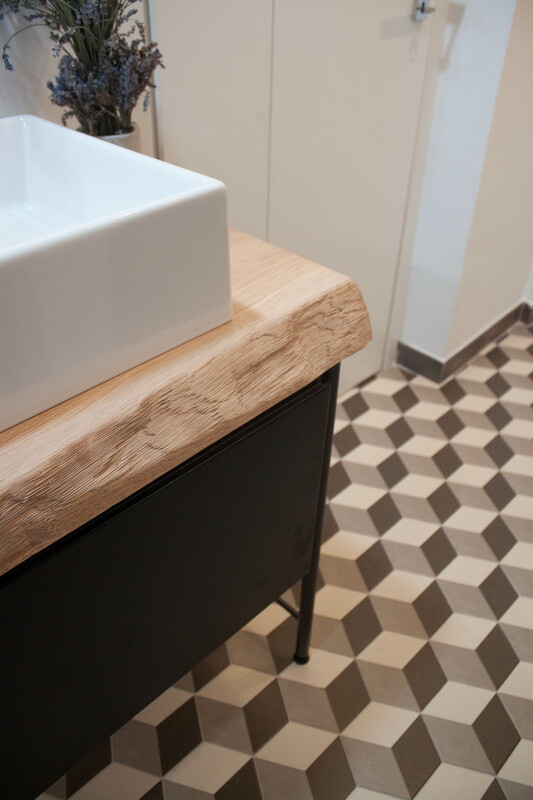 We used a mixture of tobacco, sand and beige hexagonal Examatt tredi tiles for the bathroom floor.